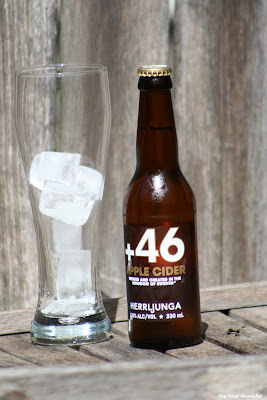 Anybody seeking a great tasting apple cider need look no further than Herrljunga +46 Apple Cider. This newcomer onto the Australian scene hails from Sweden. As we head into Summer, where the days are pleasantly warm and daylight saving promotes outdoor dinner parties and BBQ's, cider is the perfect accompaniment to entertaining and enjoying the warmer weather. I have decided that each Sunday leading into the Christmas period The Food Mentalist will feature Cider Sunday, where I will review a new cider to help make your choice easier this Summer. Thankfully, the market has really taken off in Australia and more and more brands have started to flood the market.Thus far, Herrljunga +46 Apple Cider is my favourite. It is really thirst quenching and I love that it tastes very natural and crisp, as if the apples have just been pressed. I have tried quite a few ciders with flavours that taste artificial and somewhat stale. This one is different, and that's probably why it is one of Sweden's leading ciders. I like my cider with lots of ice and super cold. As you can see the colour of this cider is almost clear. It tastes natural and whilst sweet, it isn't sickly. This cider is very easy to drink. RRP : $3.60 per bottle or $11.90 per pack of 4. Available at good bottle shops. Stay tuned for next week's installment of Cider Sunday. Do you have a favourite cider? Oh I love this! I'm a big fan of cider. It's so refreshing, and I also like mine cold with lots of ice. 3 Oaks Original Cider is nice and not too sweet. 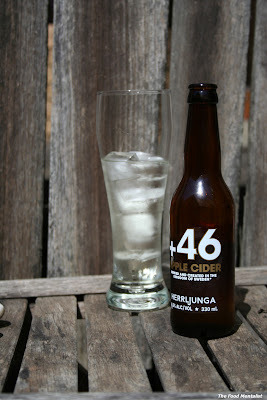 Last weekend I tried a new cider that Potters Brewery in the Hunter is making. It hadn't been carbonated yet, but they use local apples and it was very fresh with just enough sweetness. I like pear cider. yum. I've recently discovered Adelaide Hills Cider Company and their Pear Cider. It's shaping up to be my favorite drink for the summer. I've had cider a few times, they've got such a refreshing feel. Interesting to see a Swede amongst Aussie labels! I totally agree Sophie, the cider market here has really opened up in the last few months. I'm loving it!